Zendaya's Dress Resembles a Hershey's Kiss at MTV Movie & TV Awards 2018! Zendaya looks so chic while making her appearance on the red carpet at the 2018 MTV Movie & TV Awards on Saturday (June 16) at Barker Hangar in Santa Monica, Calif. 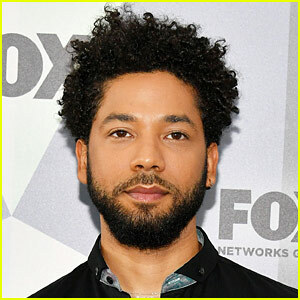 The 21-year-old The Greatest Showman actress is one of the presenters at tonight’s show, which is being pre-taped and aired on Monday evening. Fans on social media are commenting how the shape and color of Zendaya‘s dress make it look like a Hershey’s kiss! FYI: Zendaya is wearing an August Getty dress, Christian Louboutin shoes, and Paula Mendoza earrings. 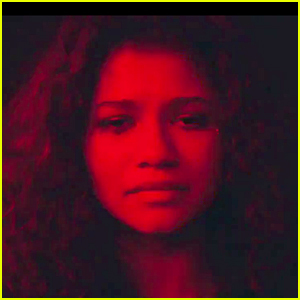 Zendaya's HBO Series 'Euphoria' Gets First Teaser Trailer! 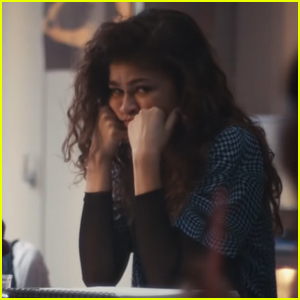 Zendaya Had a Lot to Say About This Paparazzi Moment! Zendaya Sneaks Up Behind Odell Beckham Jr., Surprises Him in Cute New Photos! 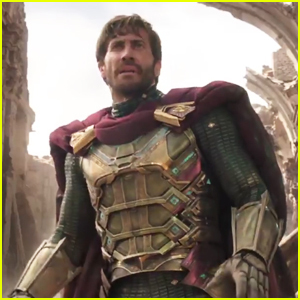 Jake Gyllenhaal Debuts as Mysterio in 'Spider-Man: Far From Home' Trailer - WATCH NOW! Zendaya's Definition of a 'Cocktail Casual' Dress Is So Epic!